It’s my fault, you think. I deserve this, you tell yourself. I do it to myself, you cry. For victims of abusive relationships, it is not uncommon to believe a darkness lurks within you, following you wherever you go and casting its shadow upon your every intimate and interpersonal experience. You blame yourself for your partner’s actions, justifying what was done, and the cycle continues. 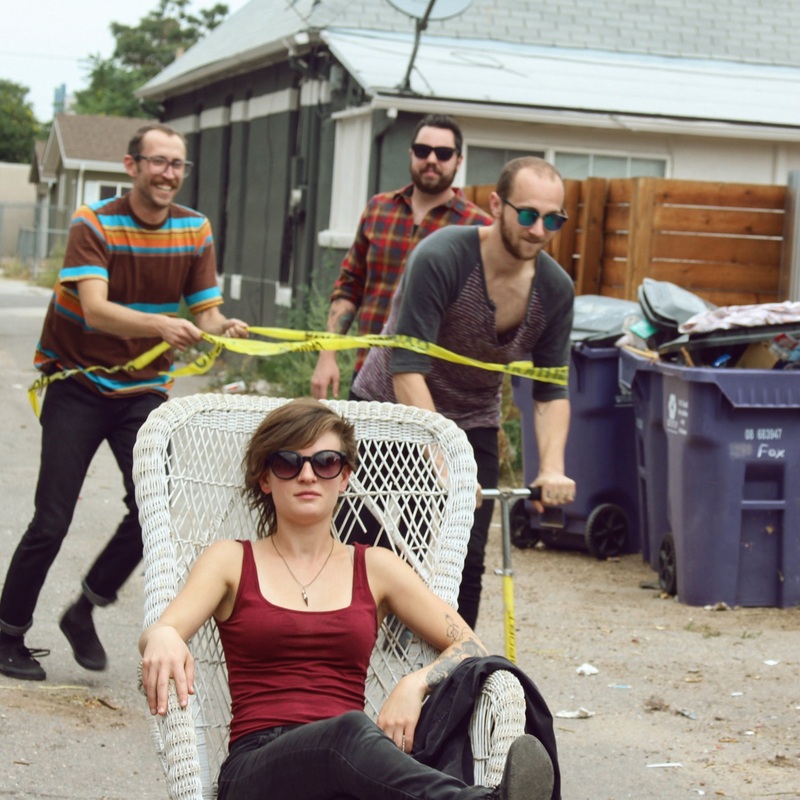 On “The Worst in You,” Denver indie rock group Tyto Alba capture the victim’s point of view as she comes to terms with her abusive experiences: Raw, vulnerable emotions run rampant through emotionally charged music and painfully honest lyrics. 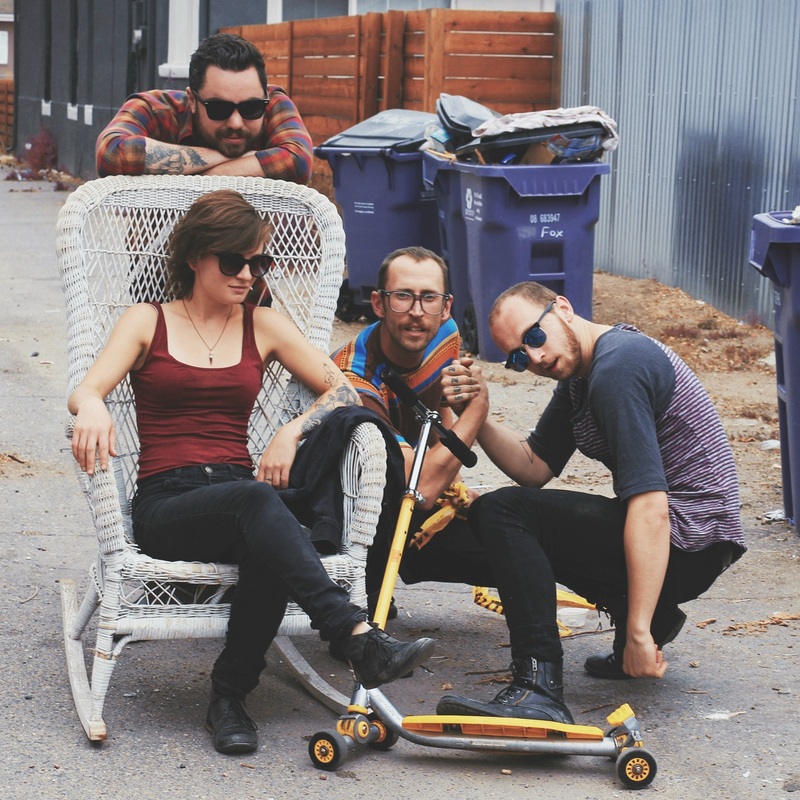 Atwood Magazine is proud to be premiering “The Worst in You,” the lead single off Tyto Alba’s upcoming sophomore EP In Our Time (released on tape via Whatever Forever Records out of Lawrence, KS). Composed of Melanie Steinway (guitar, vocals), Matt Rossi (guitar), Danny DiMarchi (bass) and Andrew Bair (drummer), Tyto Alba capture a hauntingly vivid level of human experience in their music. “The Worst in You” is equal parts loud and soft, a testament to the clash of emotions taking place within. A heavy emotional weight can be felt from the song’s start, as passionate musical crashes subside into a lone, achingly bittersweet finger-picked guitar melody. “Sooner or later, you would come around,” sings Steinway, “Just as everyone else always does.” She knew that eventually, her significant other would do something… she felt the impending doom from the outset. “And that aching in your cavity you can blame on me,” she sweetly sings, her matter-of-fact tone already cause for blood-curdling shivers. “The Worst in You” is divided into three stanzas, divided into two different parts of the narrator’s story. In the first verse (described above), the narrator blames herself for what’s going on: It’s always been like this, so why should this time be different? The second verse finds the narrator still carrying this self-blame perception, capturing her fear. “To you I’m an anomaly” – it’s her fault this happens. “When I let my guard down I get shot through,” Steinway croons, admitting how she gets hurt every time she allows herself to get comfortable. “I suppose it’s a happy ending,” muses Steinway, “because after that moment ‘I came home and was glad I hadn’t stayed‘… It’s the only time I’ve been with someone and felt physically unsafe or afraid of them, so it stuck with me and was a pretty defining moment as far as distrust goes.” Take the words “happy ending” with a grain of salt; indeed, it is a relief to be out of an abusive cycle, but “The Worst in You” doesn’t suddenly become celebratory. No; this is about the experience and the emotional baggage that comes with it. This is about the terror, the fear, the insecurities, the doubt; the pain, the tears, the grief. As she repeatedly sings the worst in you, Steinway is joined by an increasingly inconsolable cast of instruments. Rossi’s guitar shreds through dark licks as Bair attacks the drums with full weight and intensity. This is the cataclysmic moment, where everything swims together like white water through a ravine. The raucous moment is offset by an equally provocative ending when the clashes once again subside to that bittersweet, lone guitar melody. All is settled, and then – suddenly, it isn’t. The noise rises, and with it an air of chaos as Steinway’s “words are lost in the din of shrieking guitars and heavy cymbals.” There is a disturbance in the force; no one is sleeping soundly tonight. “The Worst in You” is a gut-wrenching, thought-provoking reality check that demystifies the unsettling depths of an emotionally abusive relationship and the self-blame that can prolong the abusive cycle. Tyto Alba’s music is dark, but it is human: This is why we make music. As cathartic as this song was for Melanie Steinway to write, may it also be cathartic for listeners in similar situations. It is all too easy to fall into a cycle of dejection. Don’t let yourself get swallowed up by it; you are more than that. Graceful and surging with fresh musical energy, Tyto Alba might very well be the shockwave 2017’s indie rock scene needs. 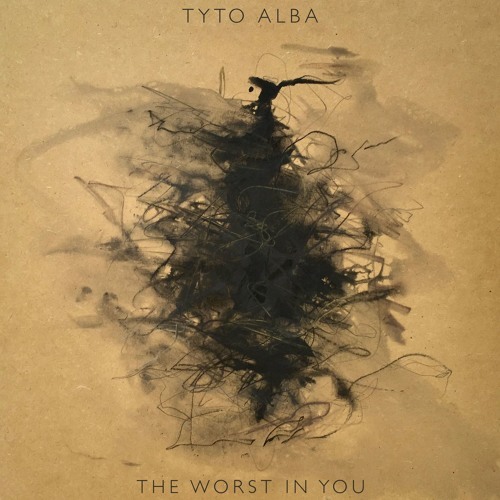 Experience “The Worst in You” via Atwood Magazine’s exclusive stream, and look out for more from Tyto Alba as the band prepares to release In Our Own Time. 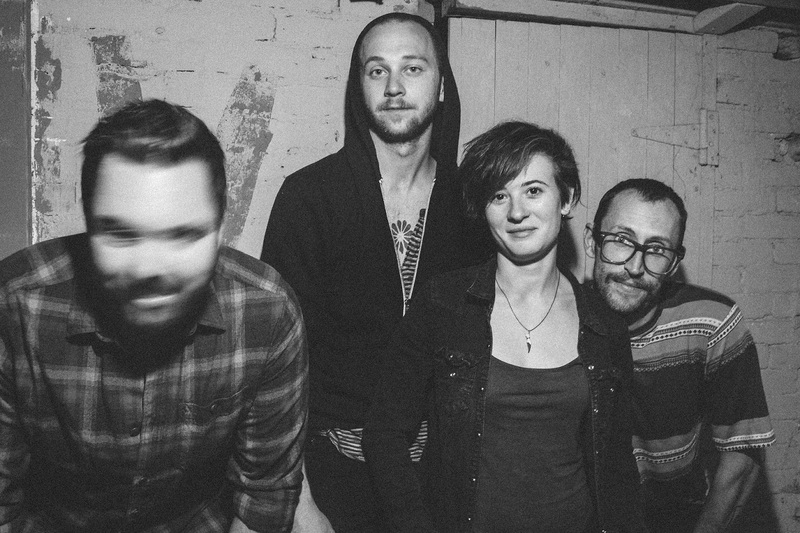 You can discover more of the band’s music via Tyto Alba’s Bandcamp page.